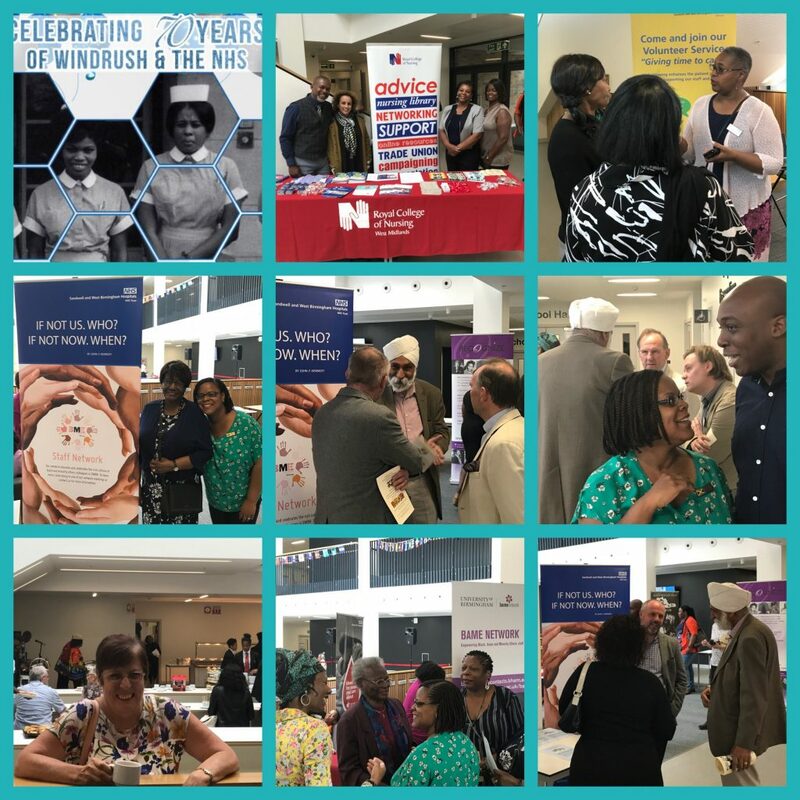 SWBH celebrated 70 years of Windrush and the NHS at a special event organised by the BME Staff Network. The Black Minority Ethnic (BME) Staff Network is a self-organised, staff group addressing issues feeding into the Trust’s Equal Opportunities Diversity agenda. It improves the working lives of BME staff by empowering them and ensuring that their rights are respected. The network will enhance the quality of service to BME communities by assisting Sandwell and West Birmingham Hospitals NHS Trust in delivering better services for all and implementing the Workforce Race Equality Standard (WRES) report. Enable BME staff to feel that they are part of and have a vital role to play in the Trust. Discuss issues affecting BME staff with key decision makers within the Trust. To influence and make responses to SWBH employment strategies, policies, procedures and practices in relation to race equality. Review the Trust progress in its statutory obligations regarding its duty under the Equality Act 2010. Advise on the provision of courses to meet training needs and on the content of courses with equality and diversity implications as they relate to BME staff. Provide an arena for staff to raise their concerns, in a safe and confidential environment. Provide an opportunity for staff to update each other on local and national policy and development. Act as a campaigning voice on BME issues within the Trust. Make local and national affiliations with other BME staff groups. To support, encourage and actively promote the professional and career development of BAME staff. To support and advise on racial harassment and discrimination and support BME staff who are experiencing racial discrimination. To develop training and mentoring schemes to improve the promotion and development of BME staff. To help develop solutions and share ideas to assist in solving problems that adversely affect BME staff. To assist the Trust in bringing about cultural change whereby BME staff are valued through ‘good news stories’. To empower BME staff to recognise and maximize their full potential. To support the SWBH in recruitment and retention of a diverse workforce which reflects the community it services. To act as a communication and information resource for BME staff. Membership of the group is open to all permanent and temporary staff. A confidential list of members will be maintained by the Committee members of the group. An invitation to join the BME Staff Network will be extended to all Trust staff on a frequent basis, via recognised staff communication mechanisms.